By accessing MRTIS, you agree not to disseminate or otherwise provide any information obtained from MRTIS to any person not currently an authorized User as defined under the Terms. Prohibited dissemination includes, but is not limited to, publishing or posting content to other websites, listserves, or otherwise sharing confidential information found on MRTIS. You further acknowledge that use of MRTIS shall not be construed as creating, conveying, transferring, granting or conferring any rights, license or authority in or to confidential information provided by MRTIS. User agrees and acknowledges that no license or conveyance of any intellectual property rights will be granted or implied by use of MRTIS. 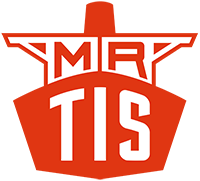 Any questions about the Terms or use of MRTIS should be directed towards the MRTIS Support Team. To send a message to support, use the provided contact form by clicking here.